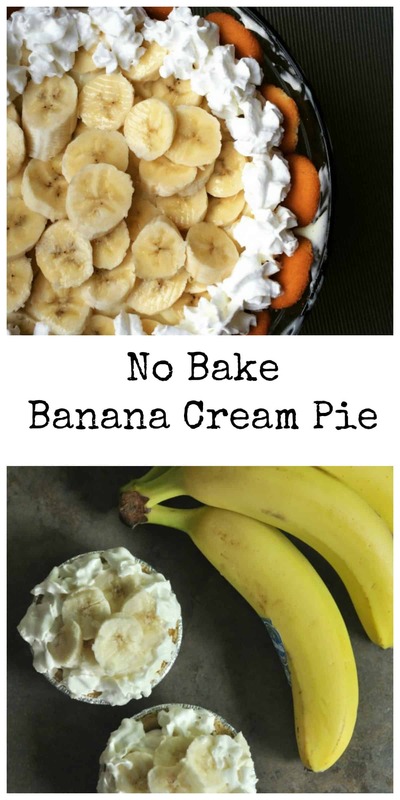 Simple No Bake Banana Cream Pie-no cooking or baking, just assemble! My oven and stove top are currently not functional thanks to a grease fire in the bottom of my oven and a subsequent use of my fire extinguisher. We had a picnic potluck this week and I had signed up for a pasta salad. Well since I can’t even boil water right now I decided I would make a super simple, no bake banana cream pie. Inspired by a night of cocktails with friends, we were dish washing and the friend said one of my vintage Pyrex bowls reminded her of a potluck style banana cream pie. I agreed that sounded good. So this week while I am without a stove or oven I thought it was a perfect time to try and create a no bake banana cream pie. I use store-bought vanilla pudding and added vanilla bean paste too, now it sorta feels homemade. I made it for the picnic potluck and there wasn’t a bite left. 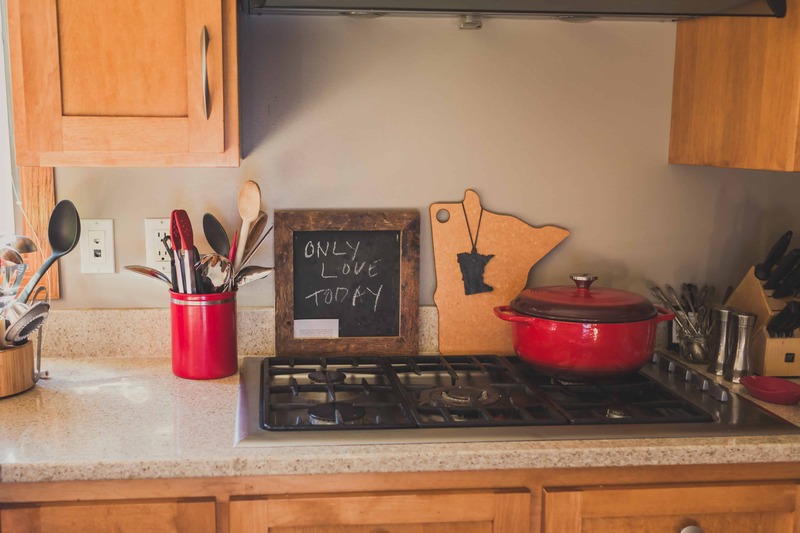 Isn’t that how you want to leave a potluck? Well I do. 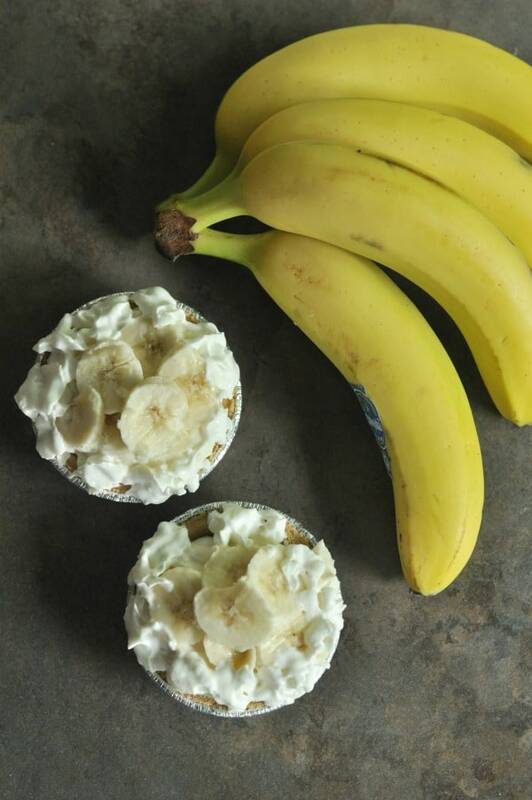 I also made mini no bake banana cream pies too. And gosh are they adorable. Perfect for a dinner party and no one will even know they are no bake! Combine pudding and whipped topping. If using Nilla wafers, line the bottom of a bowl with half the wafers and then spread pudding mixture and slice 2 bananas on top. Garnish top with the remaining Nilla wafers (arrange on the side), slice bananas and garnish with whip. 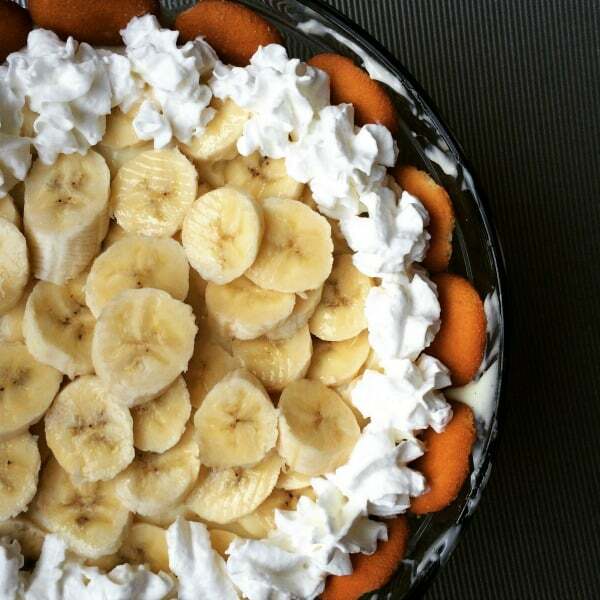 If using mini pie crusts, slice 2 bananas and distribute between crusts, line the bottoms, top with pudding mixture and top with remaining banana slices and garnish with Reddi Wip.